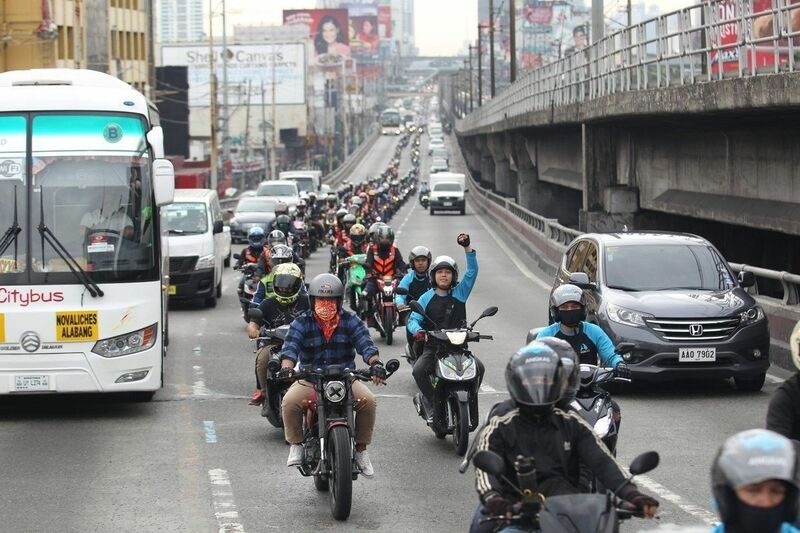 This file photo shows Angkas riders participating in what was dubbed as “Unite Ride” to decry the crackdown on the drivers of the motorcycle-hailing company. MANILA, Philippines — Senate President Pro Tempore Ralph Recto filed a bill that seeks to lift the ban on two-wheel vehicles from ferrying passengers. Senate Bill 2173 aims to classify public utility motorcycles as those with engines of at least 125 cc and can travel faster than 50 kilometers per hour. The proposed bill seeks to add a new section in Republic Act 4136 or the Land Transportation and Traffic Code. Recto said the bill was filed as a response to the call of the Supreme Court and the Department of Transportation that RA 4163 must be first amended before motorcycle ride-sharing services can be legally accredited. “Without this amendment, there is no way that authority to operate motorcycles as PUVs or transport network vehicle service such as Angkas can be granted administratively,” he said. Under his proposed bill, the operation of public utility motorcycles, including safety features shall be governed by the rules prescribed by the Land Transportation and Regulatory Board and the DOTr. “Legalizing motorcycles-for-hire would help regulate its operations, at the same time protect both the driver and the riding public. At a time when jobs are scarce, it provides a livelihood opportunity,” Recto said. Rep. Rufino Biazon (Muntinlupa) filed a counterpart bill in the lower house.